This photograph of the 300 block of Main Street near Avondale captures more than just a few long-lost details. 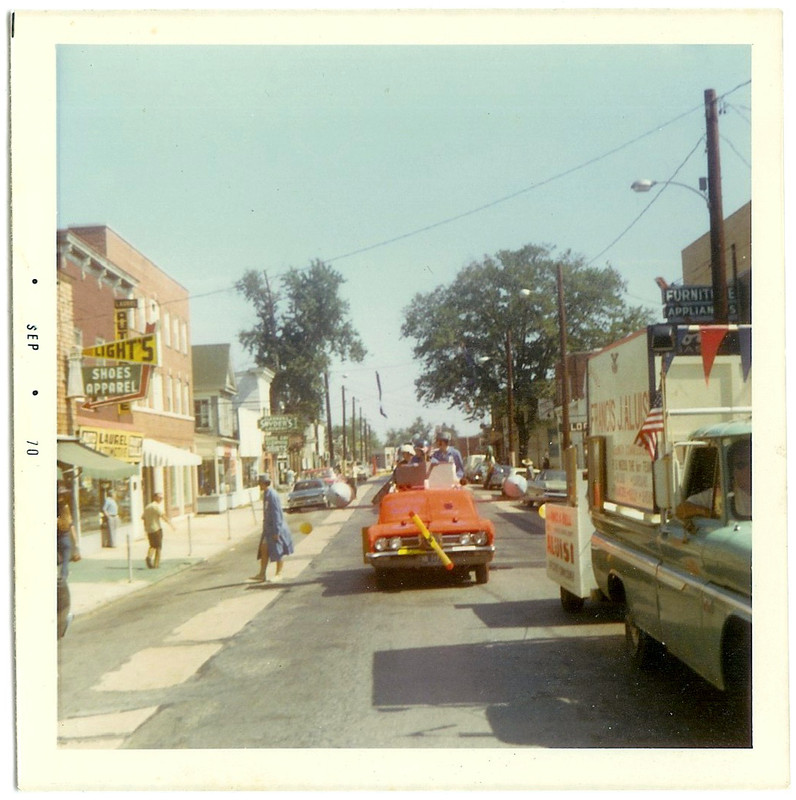 It was taken during Laurel’s 1970 Centennial Celebration. Now-gone businesses in the scene include Light’s Shoes and Apparel, the Laurel News Leader newspaper office, and Snyder’s Cleaners. But the street itself would undergo quite a transformation in the years to follow. Streetside details such as parking meter posts, wooden utility and streetlamp poles—with their bottom ends painted in pastel colors for “beautification”— granite kerbstones, concrete “parking strips”, and large, tall trees have not been seen since Main Street was rebuilt in 1980-1981. Yet, surprisingly, the overall aesthetic of Main Street remains as familiar today as it did on this clear day 41 years ago. I remember when Main St had the white blocks going down it, because I tripped over one once when I was a kid. We were going to the hardware store, and I went in all bloody kneed and the owner gave me a little treat or something. I don’t remember what it was. Found a program from that day. Of interest is in the front there are letters from three dignitaries commemorating the event. They were then President Richard Nixon, then Vice President Spiro Agnew and then Governor Marvin Mandel. The irony is, that all three were forced from office due to scandals and/or crimes. Hello, I was part of the 1970 Centennial Celebration. I was Tom Cowards assistant on the props committee. Tom helped put together the Outdoor show that was held at the race track over several evenings. I think it was dubbed “The Laurel Spectacular” They hired a fellow from Ohio and he actually stayed with Tom when he was there. I remember that Dr. Ronald Uhl made a video of the show and was selling them back then. I know the Laurel Leader did a special edition of the paper covering a lot about the Centennial Celebration. Adele Boose (now Connelly) was a reporter for the Leader at the time. 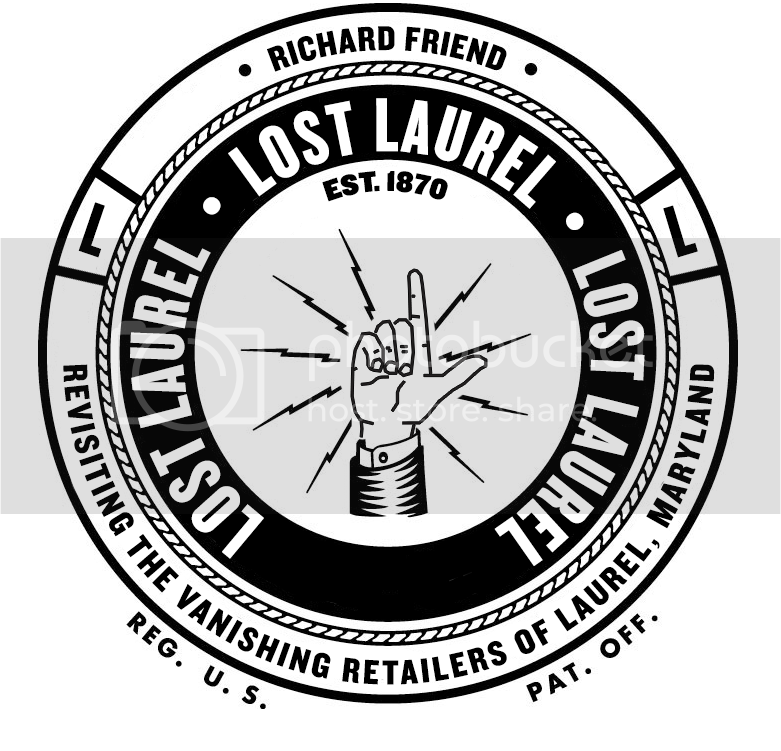 I enjoyed my time in Laurel and miss it. I live in Canada now. Glad to see old stuff. Any way for me to get a copy of the Centennial Coverage from the Laurel Leader Archives? ?